I hope you are all enjoying the last bit of summer. 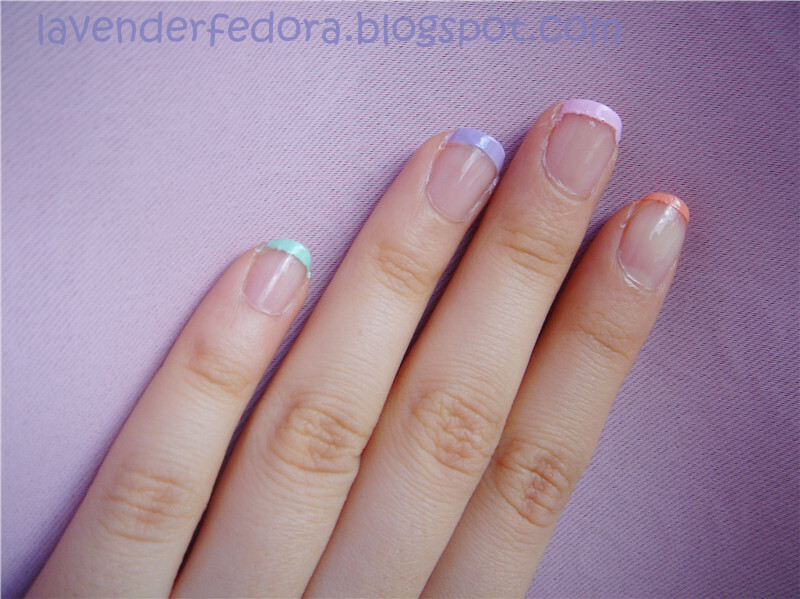 As sumer is about to end, I want to wrap it up with a very pastelly nail tutorial. It's quite simple and trust me, if I can do it, all of you girls can! 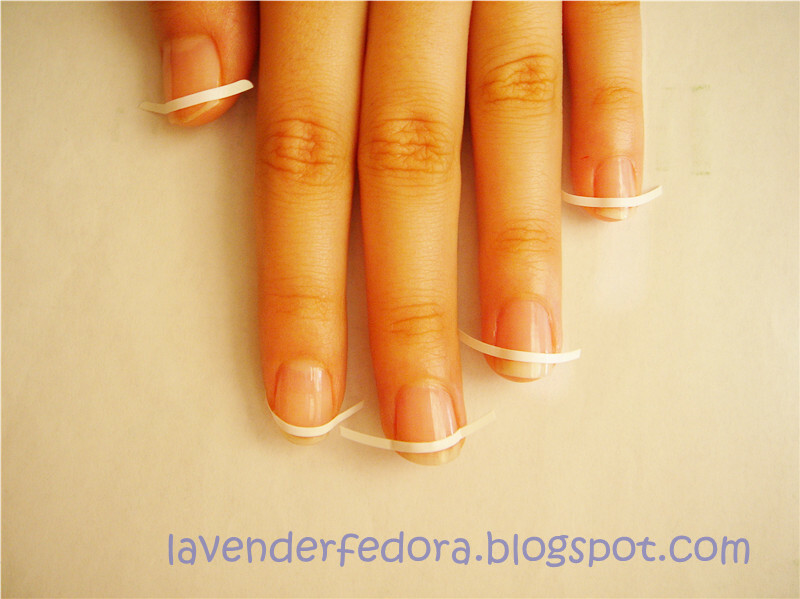 Step 1: Star off with clean and polish free nails. File them into the shape that you desire. 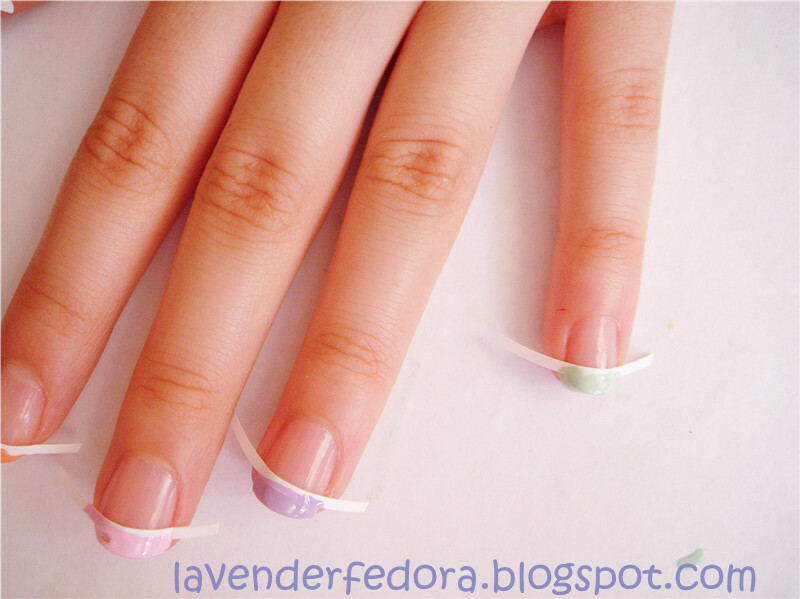 Here I choose to shape them round cuz they look a lot more girly than square shape and also, I don't have much nails to work with so round is the way to go. 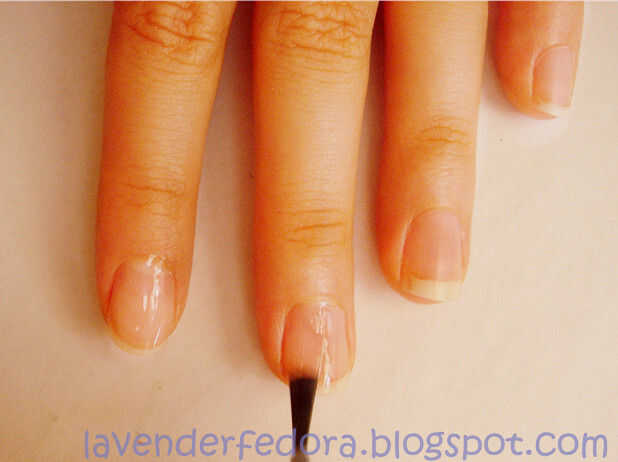 Step 2: Apply your favourite base coat to protect your nails. I use Essie grow stronger base coat. 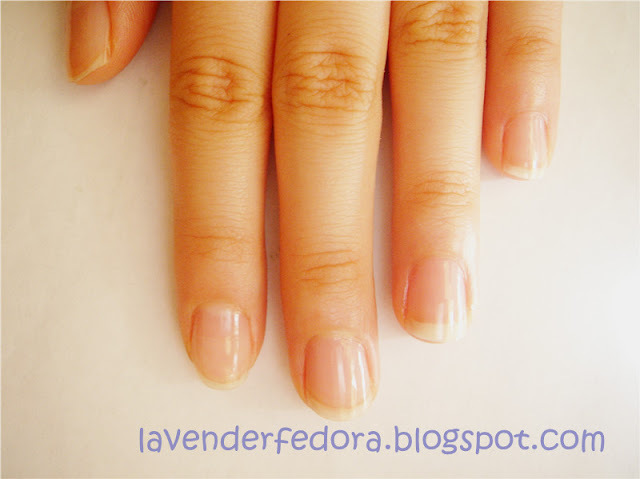 It's my absolute favorite and I've seen a dramatic result in the condition of my nails. It has definitely strengthen my nails a whole lot. Step 3: Apply those French tip stickers to your nails. They make everything easier. To me, I can never do French manicure by free hand cuz my hands just shake too much. I got mine in a Sally Hansen French manicure set. 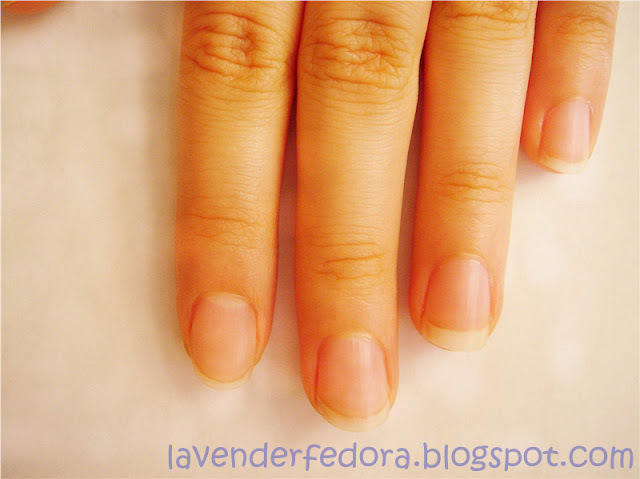 Step 5: Apply your favorite top coat. 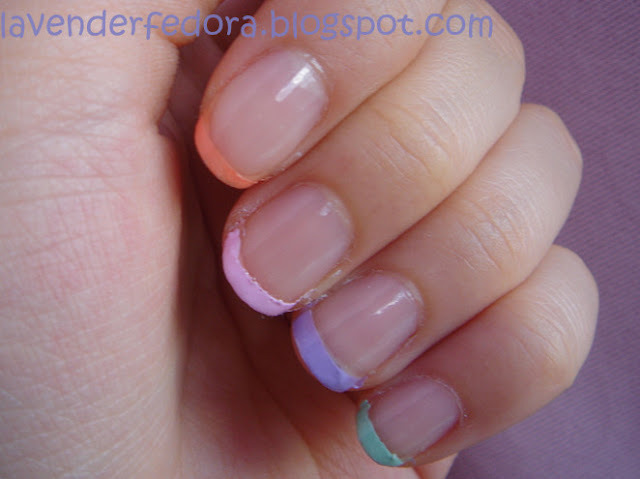 I use Sally Hansen 4 in 1 nail treatment. I don't think it works that well as a treatment but it's very glossy so it's perfect as top coat.